The 1967 Oscar Best Picture Winner is a period piece that focuses on a much debated period of scandalous English History. Based on a play of the same name, A Man For All Seasons follows Sir Thomas More as he attempts to stay loyal to his religion while also serving his country. A film that is somehow royal and elegant at the same time, this film does not have a weak link. 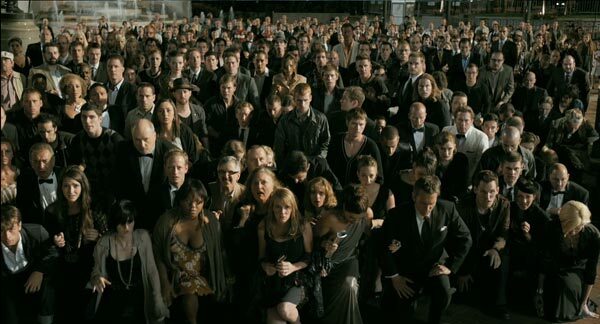 Winning six Oscars, this film is a great example of an Oscar Best Picture Winner. This film begins with a seemingly simple request that serves as the conflict for the rest of the film. 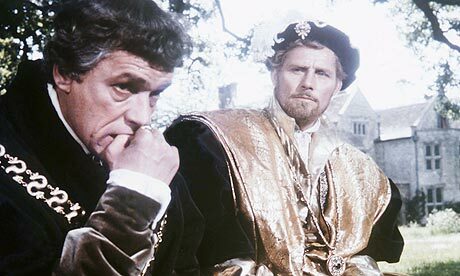 Sir Thomas More (Paul Scofield) is summoned to Cardinal Wolesy’s (Orson Welles) and asked to support King Henry VIII (Robert Shaw) in his desire to obtain a divorce with Pope’s permission. More refuses to give support, seeing it as an affront to his religious beliefs. Though pressured to do so, More refuses and leaves. Upon arriving home he finds Richard Rich (John Hurt) waiting for him. Wanting power, Rich ask More for a position at Court, More refuses trying to protect the young man from corruption. When Wolsey passes away, More is made Chancellor of England. Shorty after his appointment, the King makes an impromptu visit to More’s home. Asking about the divorce, it quickly becomes clear that More’s conscious will not allow him to dissolve the King’s marriage. The King makes a number of thinly veiled threats before leaving in a rage. Richard Rich is approached by More’s political adversary Thomas Cromwell (Leo McKern) and asked to spy on More. Rich asks for More’s help once more and once more is denied. Meanwhile King Henry, tired of waiting for approval, declares himself to be the Supreme Head of the Church of England. Requiring confirmation that everybody sees him as such, Thomas More is unable to accept the King as the head of the church and quietly resigns as Chancellor. Unwilling to acknowledge Anne Boleyn, the King’s new wife, as Queen and refusing to attend the wedding, More is taken to Court for treason. An expert in law, More knows that if he refuses to speak his ideas then he can’t be convicted of treason because ha has not made a treasonous act. Careful to discuss his ideas with nearly nobody, there does not seem to be a single witness to More giving a treasonous statement. Chromwell eventually calls Richard Rich to the stand and it becomes clear that he has betrayed More for a position at court. With the evidence needed, More is found guilty of treason and sentenced to death. This film was an extremely well done film. 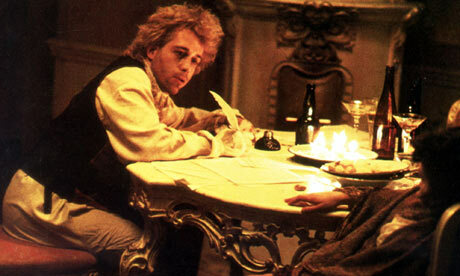 The film (based on a play) is eloquently written, filled with a number of beautiful soliloquies and speeches. Though the language of the film does not have the same vocabulary, slang and verbiage that we use today, the skill in acting makes sure there is no misunderstanding the lines. There was no weak performance in the entire film but my opinion Paul Scofield and Robert Shaw both gave the best performances. Robert Shaw does not have much screen time but when he is on screen he commands it with a ferocity that matches his character. Paul Scofield is enthralling as Thomas More, giving the character a subtle nature that accentuates his brilliance and his torment as to how to handle his situation. More wants to be loyal to his King but cannot betray his moral and religious conciseness. This is an example of a film that I am very happy to have seen but feel no need to see again. Beating Alfie, The Russians Are Coming, The Russians Are Coming, the Sand Pebbles and Who’s Afraid of Virginia Woolf for Best Picture the film also won five more Oscars. Fred Zinnemann won for Best Directing, Robert Bolt won for Best Adapted Screenplay, the film won Best Cinematography, Best Costume Design and Paul Scofield earned the Oscar for Best Actor that he most certainly deserved. This film, while a little dry, was very well done, a B grade. While the topic does not seem to be the most scintillating, the acting and writing work to make this an enthralling and engaging film. 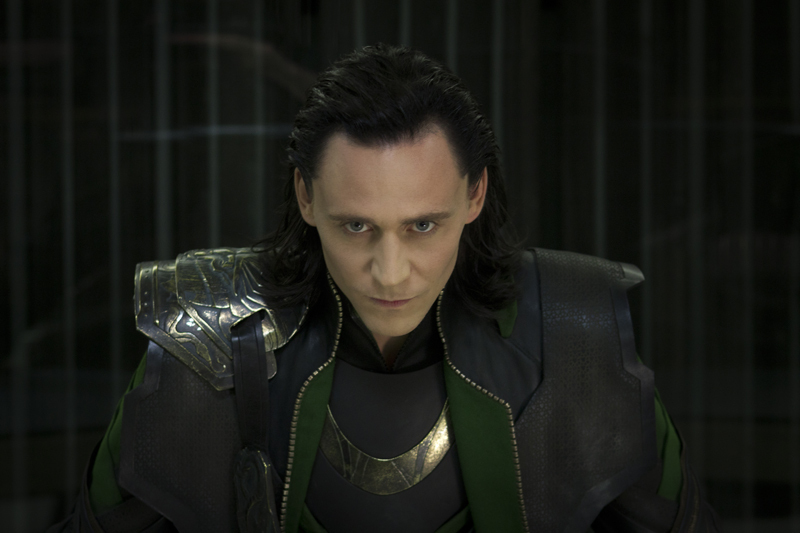 Loki, brother of Thor and villain in the first Avenger’s movie, has an obsession with taking over Earth. Loki’s attack on Earth also stems from his scorn at losing the right to rule his own home, Asgard. An intense need to rule coupled with his view on humans, demonstrated by the above quotes, became the driving force behind Loki’s attack and therefore the plot of the film. I have seen the Avengers twice now and each time I found myself dwelling on these two quotes. At first I found them to be absurd but, unable to shake them, I gave them a little more thought. It didn’t take me long to realize that the quotes were weighing on my mind not because they were absurd but because they had the ring of truth to them. Some of the most basic things in life are based on our idea of freedom. Freedom of speech, freedom of religion, freedom from your parents when you are old enough to move out of the house, all freedoms that we (as American’s) strive for and take pride in owning. We have the freedom to say what we want. We have the freedom to buy our own homes and live independently from our parents and start our own lives. We have the freedom to find jobs we want to work and to eat what we want. The list of freedoms we as humans have is nearly endless but are we truly free? Take a closer look at life and realize that we are not, mainly because we choose not to be free. Loki says that we crave subjugation and that we are meant to be ruled. While harsh and much more extreme than I believe, what he says is true. We don’t need freedom from freedom, we already have it. From birth to death, we allow ourselves some freedoms but create constructs that keep us from true freedom. It starts with our parents. While we grow up and mature we live under a certain set of rules laid down by our parents that prevent us from doing whatever we want. We are sent to school, where, by law, we must learn Math, Science, English ect under a set of rules laid down by the school. We then move on to College where another set of rules governs another period of learning. From there we either have more school or we get a job which introduces us to a boss, a set of responsibilities and a set of rules. The goal then becomes progressing at our jobs, working our way up through different responsibilities and different bosses until we reach the highs point possible. Even then there is some kind of construct in place to impede true freedom. Presidents of companies must answer to share holdings. Even the head of the American government works under a set of checks and balances to keep him from having ultimate freedom. I am not trying to argue that government or school are bad things, I am actually trying to argue that absolute freedom is dangerous. Absolute freedom, allowing somebody to do whatever they want with no consequence, is giving somebody tremendous power that can be and historically has been abused. Even if we strip away the government, school and family constructs that limit our freedom, humans have still found a way to control freedom. Religion serves two purposes (if you have religion of course). One is to attempt to find a way to understand the unknown. The other is to give us a set of morals that we should strive to live by. Even when we don’t have other humans to keep freedom in check, we creature/invent/believe something to keep control of our own freedom. Never did I think I would pull a post like this from the Averger’s villain but apparently even psychotic demi-gods can give some insight to humanity. Loki is wrong in saying humans need to be ruled but we do need freedom from freedom. Being the fickle creatures that we are, humans crave and fear freedom, putting us in and endless struggle to try to attain and control it all at once. What Loki doesn’t understand is that humans are made to realize that freedom and control go hand in hand, not to be mindlessly ruled and oppressed. SPOILER ALERT: Amber Alert, there are things written in this post that could ruin some very shocking and amazing surprises in Season 6 of Dexter as well as the series as a whole. Read at your own risk if you have kept up to date watching. The Doomsday Killers: Following a season long theme, the season 6 villains are on a quest to start the end of the world. Played by guest stars Colin Hanks and James Edward Olmos, Travis Marshall and Professor James Gellar commit a series of elaborate murders. Each murder represents one of the seven keys that is supposed to bring about the end of the world. As Always, the killers are brilliant and twisted and Dexter throws himself right into their path. Hanks and Olmos play their roles perfectly, twisting the definition of religion and forcing even Dexter to question his beliefs (or lack there of). Brother Sam: Olmos and Hanks are not the only guest stars of the season. 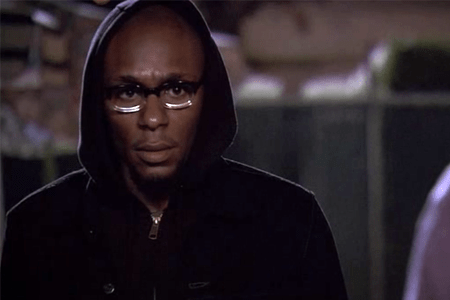 Mos Def spends a season in Miami as Brother Sam, a reformed convict turned pastor. Upon his release from jail, Brother Sam opened a garage and a church meant for other convicts that mean to reform. Brother Sam sees himself as a shepherd, watching over his flock. A series of events leads Dexter to meet and eventually befriend the man (which is odd in itself). The villains got Dexter to question his beliefs but Brother Sam got Dexter to completely search himself. Thoughts and topics that Dexter normally avoided, like religion or beliefs, becomes the focus of the show’s well known voiceovers. Dexter’s growing concern for the humanity of his son Harrison, coupled with his odd friendship with Brother Sam allows this season to delve into the depths of Dexter’s turbulent soul. The Dark Passenger(s): A common term from Dexter, referring to his need to kill, the dark passenger is given a form this season. For many season now, Dexter has spoken to the ghost of his lat father Harry. Harry has represented a form of morality for Dexter, allowing him to work out some of his demons while keeping his Dark Passenger in check. 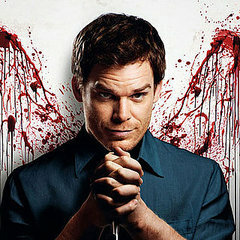 This season, Dexter’s Dark Passenger actually takes a shape in the form of Dexter’s dead brother, the Ice Truck Killer. In one episode, Dexter completely gives into his dark passenger when he goes on a murderous roadtrip. Dexter quickly realizes that Travis has his own Dark Passenger: Professor Gellar. Being that Gellar is a real person, Dexter beliees he can remove Travis’ Dark Passenger and save him. Dexter quickly discovers that the real Gellar is dead and, much like when Dexter talks to his father or brother, the Gellar that Travis talks to is just a manifestation of his own Dark Passenger. Not only does the realization make for an amazing cliffhanger but you also realize that there are clues to the truth hidden all over the episode. By having Dexter compare himself and his Dark Passenger to Travis, the audience fully believes that Travis is a good person being led astray. When the truth comes out, it is almost a slap in the face. The truth should have been easy to see but the writers hid the clues perfectly in plain sight so that it was extremely difficult to piece them all together. The Season Finale: Dexter seam finales have never left me disappointed. From the demise of the Ice Truck Killer to Trinity’s final kill, each finale has been spectacular and season 6 was no exception. IF YOU HAVE NOT SEEN THIS SEASON AND DON’T WANT AN AMAZING FINALE RUINIED, STOP READING. As always, at the end of the season, Dexter gets his man. Travis comes close to getting away after attacking and nearly killing Dexter as well as kidnapping Dexter’s son. Dexter does manage to get Travis into the kill room but he forgets to lock the door. That’s right, after six seasons of killing, Dexter is caught. To make matters even worse, he is caught by his sister who is now the new Lieutenant of the police force. The last shot of the season shows Deb watching the kill stroke and Dexter managing to mutter “Oh God” as he realizes what has happened. Now, there are many other great aspects of the season that I didn’t touch on, like the pathetic mess Quinn becomes or how Deb gets used by Laguerta, but as you can see this –post has gotten quite lengthy. The season is spectacular and if you are a Dexter fan, you need to see it. I give the season a 9.5 out of 10 and will countdown the days until the next season premiere. The following photos are a rather humorous result of my college day procrastination. I hope they can provide a few laughs to the few who share my humor. If they are well received I may even throw some more together. To those of a religious bend…I am sorry you have such an affliction. Get well soon. To all, Enjoy!